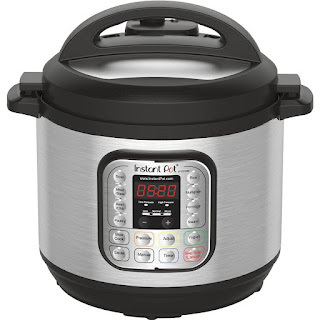 Hurry over to Amazon.com where today, November 24th only, you can score this Instant Pot 8-Quart 7-in-1 Pressure Cooker for only $81.99 shipped (Retail $129.95)! If you have been looking for a BIG one like this, then you need to run as this will sell out fast! This Instant Pot Pressure Cooker is seven items in one – pressure cooker, slow cooker, rice cooker, sauté pan, stock pot, steamer and yogurt maker! You can quickly and easily cook meals without changing pots and you can choose from 14 different cooking modes.